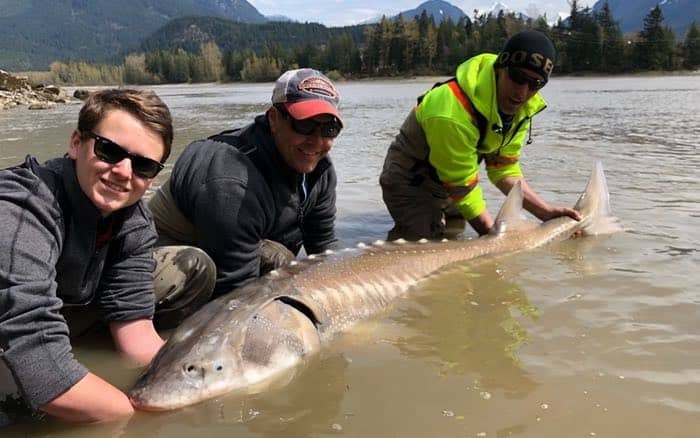 We’ve had a super busy Spring fishing season out of Vancouver, our fly fishing trips have been awesome, lots of good early season salmon fishing near Vancouver and our Fraser River sturgeon fishing trips have been firing on all cylinders with some big fish around already! 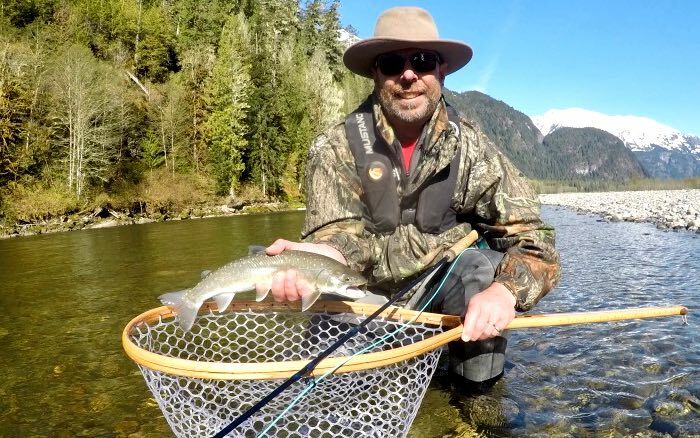 Spring has been very good to us with our Vancouver fly fishing trips. 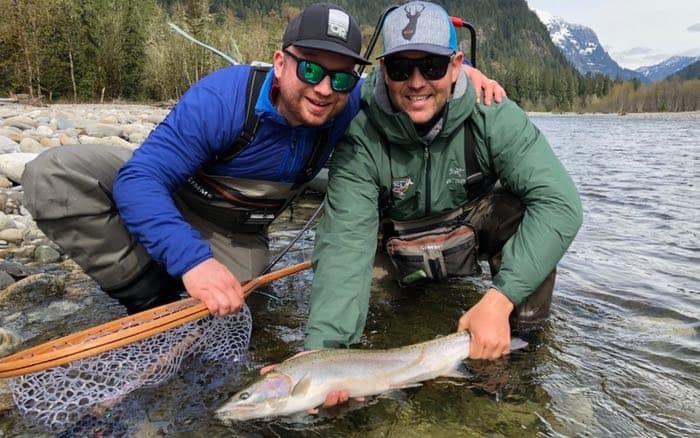 We’ve enjoyed hosting clients from around the world, fishing the beautiful Squamish River valley about an hour north of Vancouver. Since we’ve had a cooler than average Spring river levels have been lower than we like, hoping that some warmer weather in later April will bump up the rivers into optimal shape for the first two weeks of May. A healthy population of bull trout are now feed on salmon fry that are beginning to hatch and there has been some beautiful steelhead in the river, some of whom have found their way to our flies making for some pretty epic bites and excitement. Sometimes a few hundred casts pays off with one of these beautiful chrome fish climbing on and burning up the reel! What to expect for May: Well, we hope river conditions stay in shape, with this warmer weather snow will be melting and rivers will be on the rise. We generally have very good conditions in through mid May, hoping this year it will even be a bit later. 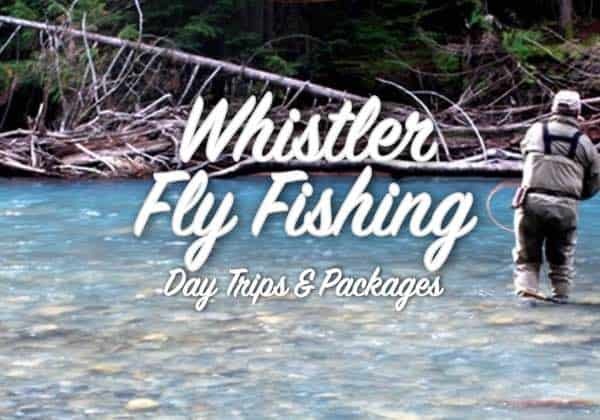 If you’re looking to book a Vancouver fly fishing trip we have opening in the first two weeks of May, for either single day trips or our multi-day packages. Email the office chromersportfishing@gmail.com or call toll-free 1-877-902-3393 to book. Definitely one of the better starts on the Vancouver salmon fishing front, there’s been a ton of bait around for juvenile chinook (king) salmon to be feeding on and overall the fishing has been really good, with a mix of undersized salmon and legal keeper salmon. This will only get better as we move into May and June. 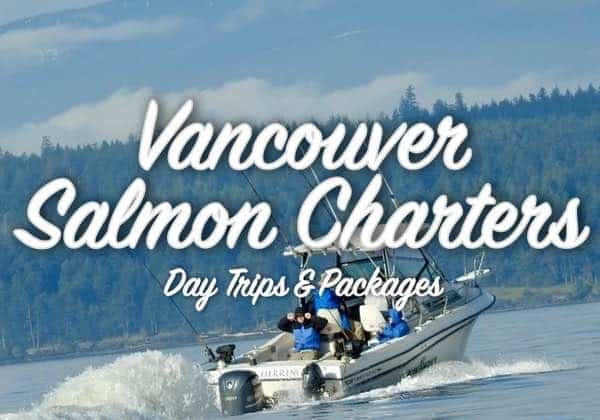 Our Vancouver salmon fishing charters leave right from downtown Vancouver, you’ll be fishing within 20-40 minutes of our moorage, maximizing fishing time. 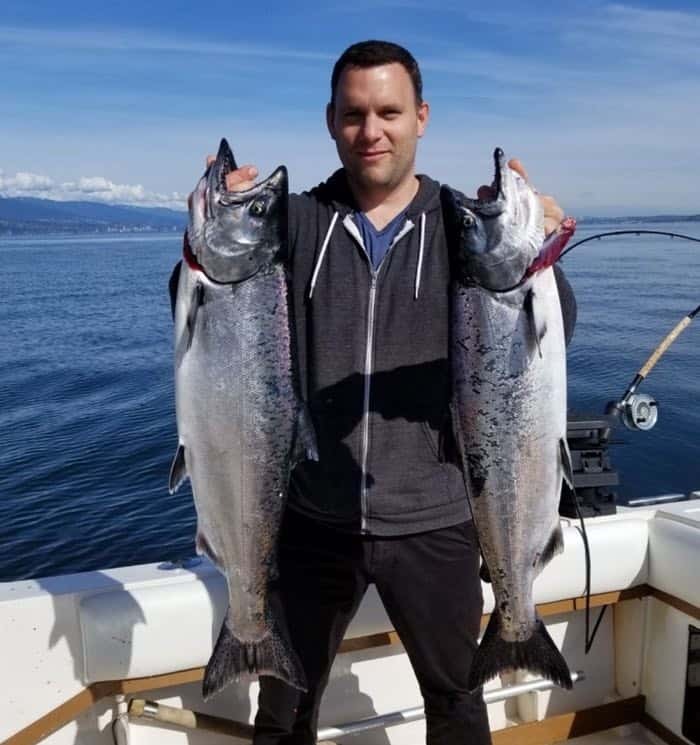 If you’re looking for a May Vancouver salmon fishing trip then we recommend the full-day 10 hour charter, this will allow for enough time for our guides to bring you over to the southern Gulf Islands or up into Howe Sound, two areas where we see the best salmon fishing in May. 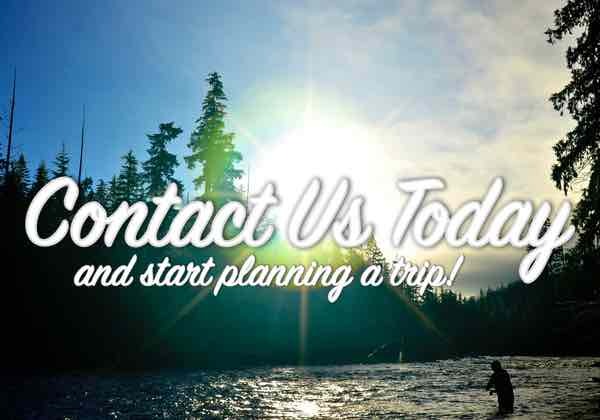 If you’d like to book a Vancouver salmon fishing charter with us, we have open availability throughout May and June. If you’re looking for some later dates, in July and August keep in mind we are booking up for those prime spots quite early. All things are looking good for our upcoming Fraser River sturgeon fishing season, chasing these monsters around the muddy waters. We’ve had a pile of trips happening already this Spring and fishing has been really good, with some bigger sturgeon in the mix. We have two sturgeon fishing locations on the Fraser River. The most convenient location is our Chilliwack location. 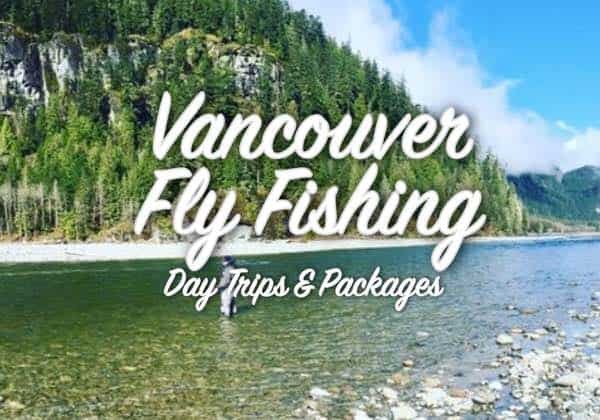 This will have you fishing the lower Fraser River with our pro team of sturgeon guides, driving time from Vancouver is less than 90 minutes. 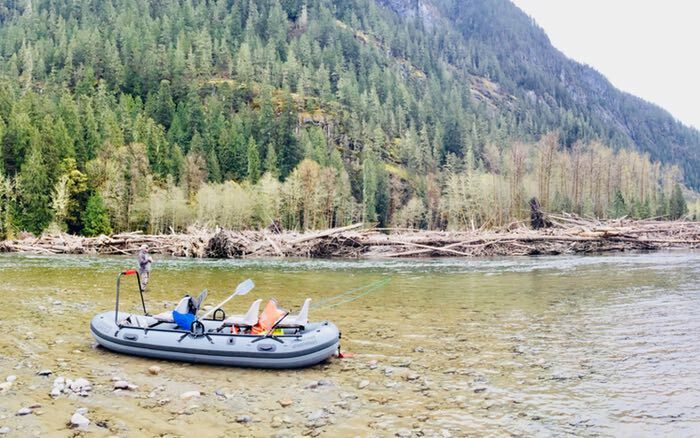 Our more remote location in our Remote Canyon Trip, these sturgeon fishing trips leave from Hope, BC, just over 90 minutes drive time from Vancouver. As we move into May and June we will start seeing some higher water levels, but fishing is usually still very good through those months. 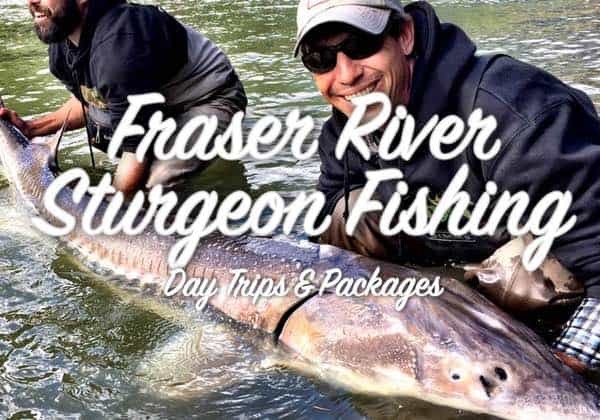 If you’re looking for a prime time July, August, September or October sturgeon fishing trip, good thing to look at some dates sooner rather than later as those months do get very busy for us.